City, amidst legal battles, officially ends relationship with harbor revitalization vendor. REDONDO BEACH — The legal saga hovering over what once was The Waterfront revitalization project took another interesting turn in late October, as the city of Redondo Beach formally ended its relationship with CenterCal Properties, sources confirmed with The Log. A city official and CenterCal executive both informed The Log of the contract cancellation, adding neither could provide any further details. “Since the city is in active litigation with CenterCal I cannot comment or provide any info other than to confirm that the city did send a termination notice to CenterCal,” Stephen Proud, director of Redondo Beach’s Waterfront and Economic Development Department, told The Log in an email. CenterCal CEO Fred Bruning confirmed his company received a notice of termination from city officials. 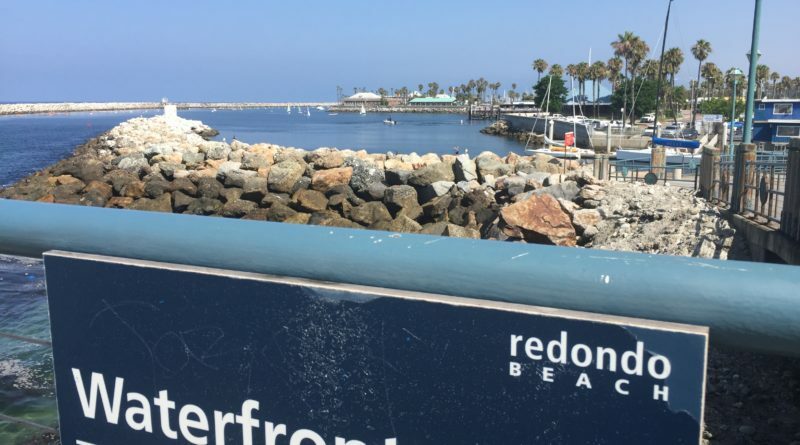 The notice of termination is the latest in a series of heated events surrounding The Waterfront revitalization project at Redondo Beach’s King Harbor area. The plan, had it moved forward, would have brought several new amenities to the King Harbor area, including new restaurants and retail shops. Other features of CenterCal’s proposal included a boutique hotel, cinemas, creative office space and a public market hall. Boaters hoped the revitalization plan would have brought a boat launch ramp to Redondo Beach. Of course the revitalization itself isn’t necessarily dead and Redondo Beach could still realize a boat launch ramp and visitor-serving amenities at King Harbor. Yet recent developments certainly indicate future plans would, in all likelihood, play out differently than CenterCal and Redondo Beach originally planned. Redondo Beach’s notice of termination bookends an interesting calendar year for The Waterfront project. The local City Council approved a property lease agreement and infrastructure finance plan for CenterCal’s revitalization plans in January. Local voters, however, approved a ballot initiative to restrict zoning changes on Redondo Beach’s waterfront a few weeks later. The approved initiative, known as Measure C, opened the door to limit what a developer could build at and around King Harbor. The same election also facilitated a change in power on the local City Council, what with incumbent Mayor Steve Aspel, a proponent of CenterCal’s plans, losing his re-election bid to a candidate who was not as supportive of The Waterfront. Another anti-Waterfront project candidate, Nils Nehrenheim, was also elected to the council earlier this year. Nehrenheim, a co-founder of “Rescue Our Waterfront” in Redondo Beach, helped spearhead the Measure C ballot initiative. A legal battle between CenterCal and Redondo Beach has since been brewing, with the El Segundo developer delivering the opening salvo with lawsuits reportedly filed against the city in state and federal court. One lawsuit challenged the ballot initiative, while another sought damages for money CenterCal had spent on developing The Waterfront’s plans, according to news reports. Tensions surrounding The Waterfront proposal certainly existed before 2017. The project’s Environmental Impact Report, or EIR, was challenged in October 2016. City Council members had denied the appeal, though, allowing plans at that time to move forward. One of the elements of approved plan was to build a boat launch ramp at Mole B. Some boaters hoped the ramp would have been built further inside King Harbor. What’s next for Redondo Beach’s revitalization plans for King Harbor and its surrounding area remains to be seen.